If you have any questions about transporting your pet, the answer will probably be here. Looking to transport your pet? We can give you a quote for free. We are an experienced international pet transport company dedicated to making pet travel within New Zealand and around the world stress free and safe. We can help you take your pets with you. We take care of flights, cages, veterinary checks and even collect your pet and take them to the airport for you. 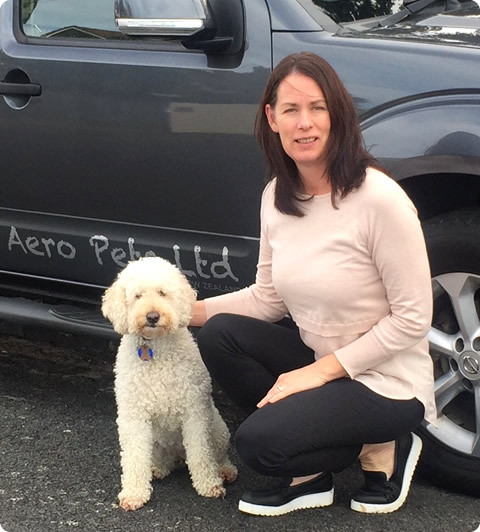 Aero Pets New Zealand Limited is a pet transport company based in New Zealand and operated by husband and wife, Brenda and Tony. Brenda and Tony pay very close attention to your pets health and comfort. As pet owners ourselves we will treat your pets as we would our own. Our goal is to exceed your expectations in both service and price. Let us take care of everything for you. Contact us now for a free no obligation pet transport quote. We understand that your pets are your family and require a professional, responsible and regulation compliant pet transport company with an excellent reputation. We are dedicated to planning every aspect of your pet’s journey while ensuring we are abreast of any and all changes in transport regulations meaning you get the best service possible. We fly pets all over the world including; Australia, USA, UK, Europe, Asia, the Pacific Islands and anywhere within New Zealand. Our services include collection, supply of IATA compliant cages, Veterinary checks, delivery, Domestic and International flights and MPI approval for your pet (this is required for all pets leaving New Zealand). Aero Pets New Zealand Limited is NZFSA (MPI) approved and all our cages are of the highest standard, meeting all IATA requirements for both international pet transport and pet travel within New Zealand. Cage requirements for pet travel within New Zealand and those sent from abroad are very strict so let Aero Pets ensure you have the right cage for transporting your pet. We sell and provide rental of high quality IATA approved cages so your pet will be transported safely and in comfort. Please feel free to contact us and we will answer any the questions you may have about requirements, airlines, cages and what we can do to make the trip a smooth experience for you and your pets. I have been a Foster volunteer for the SPCA for over 20 years and still foster’s kittens to this day, in addition to looking after her own cat Seb.